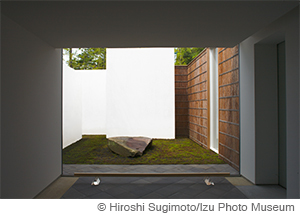 The Japanese are serious museum lovers—perhaps obsessive. Together with Germany and the US, Japan can safely lay claims as a ‘museum kingdom’ to operate some 5600 museums—a figure that eclipses the 1800 or so accredited museums we have here in the UK. By 2009 roughly a fifth of those, or 1087 museums to be precise, are dedicated to art. Amongst those are over 500 public art museums. Fascinating then that this museum obsession is a recent affair for the Japanese. In fact, at the end of WWII, Japan had only three public art museums. That sprouted into 16 museums during the economic, population and cultural boom years of 1950s through to 70s. The real spurt was fuelled largely by the fast inflating bubble economy of the 80s. Even when the bubble burst and Japan fell into the deep financial valley of the ‘lost decade’, private art museums followed the crash but construction of new public art museum carried on despite and to defy all expectation. Between 1991 and 2005, 91 new public art museums opened its doors to visitors. For Sophie Richard, author of The Art Lover’s Guide to Japanese Museums, this may seem like rich picking. A lifelong enthusiast of Japanese art and culture, Sophie, a freelance art historian, combined her curatorial and research expertise to create the beautifully designed easy-to-navigate guide on some of the best museums in Japan. First arriving in Japan 10 years ago, Sophie was astonished by the breadth of art museums crowding the country vying for attention. Since then, she’s returned to the country nearly every year, if not twice, spending several weeks at a time to explore and discover hundreds of art institutions. The result is a genuine fruit of love and labor. Having trekked the roads well and least travelled, the Ecole du Louvre alumna distilled the selection down to 80 must-see art museums. She admits that choosing the ‘not to be missed’ museum was no easy feat. ‘Every visitor has certain taste, preference, expectation, and it is a challenge to meet them in a single book’ Sophie replies. Rather, the author took a more holistic approach. The chapters are divided into five rough-cut regions: Tokyo, Tokyo vicinity, Kyoto and vicinity, the East, and the West. The featured museums are presented with information not only on their history and collection, but also their significance in Japan’s artistic cultural fabric. This geographical and cultural mapping approach complimented by beautiful images perks even the most seasoned art loving itinerant readers. It is also refreshing to see a guide not too obvious with its shortlist. 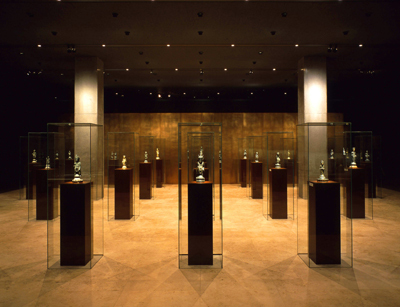 The museums featured are all distinctive in their own unique way, whether it may be its collection, architecture or focus. Highlighted institutions are hence varied: from small, medium to large institutions, from traditional to contemporary, or simply a curiosity of its own such as the charming artist’s houses that preserve the essence of artistic roots. Many of them provide little information in English, however, making The Art Lover’s Guide to Japanese Museums an essential resource for non-Japanese readers. To gather all the facts and insights for the English readers, Sophie painstakingly researched and orchestrated her visits. Once there, she spent time interviewing museum directors and/or curators to ask questions and hear the ‘story’ behind each institution. All this, of course, in addition to having a very good look around. The resulting text is a lively enjoyable in-depth account on the uniqueness and character of the featured museums. Even more rewarding for the readers is Sophie’s short guide to in and around the museums’ location. 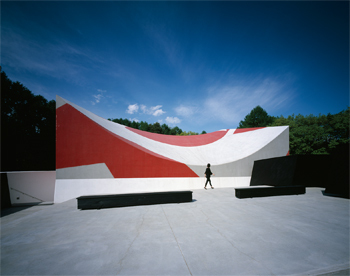 Either in the form of ‘in the neighborhood’ or ‘farther afield’ section, readers discover great tips on other points of interests and things to do, including a dip in the near-by outdoor rotenburo bath next to Nakamura Keith Haring Collection in Yamanashi prefecture, to maximize one’s sojourn. For those keen on travelling and art, the project sounds like a dream opportunity: an excuse to travel to Japan, see fantastic art, talk to those most informed and do fabulous things along the way. Sophie will confess though that her visits were not always easy or successful. Some museums are prohibitively difficult to access, especially those off the beaten track and during off-season on limited public transportation options. Others, who might house renowned masterpieces, might not necessarily warn visitors that they are off display, and hence one’s visit may result in disappointment, especially for those more accustomed to Western art and museums practices of having permanent displays. Even if logistics and ephemeral works of art can be negotiated, there are those odd days Japanese museums would stay closed for rotations or between exhibitions as Japanese art objects are often too fragile to be displayed for any extensive period of time. And compared to Western museums, which hosts longer running but fewer exhibitions each year, Japanese museums churn four to eight exhibitions per year, depending on the size and scale of the museum. This means, however that the run is shorter and closures for installation, de-installation and rotations more frequent. The guide warns the reader of such pitfalls so that the trip avoids meeting such disappointment. Should such oddities catch one out, perhaps the best remedy is to appreciate that these eccentricities are what make Japanese art museums interesting and vibrant, and make the most of the situation by dropping in at one of Sophie’s recommended hot spots in and around the area. The resulting guide is not only a practical one, but a tried-and-tested treasure map pointing to wonderful art museums, some perhaps less known to the English speaking audience. Last substantial attempt at such an arduous task was by Laurence Roberts in 1971 with his The Connoisseur’s Guide to Japanese Museums. With in-depth knowledge and information, Sophie’s guide is a much-welcomed and anticipated compass to help facilitate new discoveries for art lovers destined for Japan. After all, museums are a sanctuary that encourages transformative dialogues—they help engage and expand our understanding of the world we live in. Martin Cook, Managing Partner of EY wrote recently on the importance of art patronage by recognizing that ‘experiencing exceptional art stimulates our imagination, challenging us to look differently at the world and how we connect with each other’ and how there is a need to ‘improving access to great art’. What better way to be stimulated than by Sophie Richard’s The Art Lover’s Guide to Japanese Museums? The Art Lover’s Guide to Japanese Museums; £18.99. Published by the Japan Society. Your copy signed by Sophie Richard! The Institute will host the launch of The Art Lover’s Guide to Japanese Museums on 5 March, 2014. Books will be available for sale on the evening. 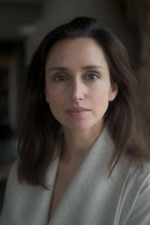 Sophie Richard is a freelance art historian. Educated at the Ecole du Louvre and the Sorbonne in Paris, she worked in the art world in New York before moving to London where she is now based. She has travelled to Japan many times during the last 10 years. Passionate about Japanese arts and culture, she set to explore the country’s many museums. In the course of her research she has interviewed museum curators and directors, visiting over 100 venues across the country. Her articles on Japanese museums have appeared in magazines in America and the United Kingdom. Her first book, The Art Lover’s Guide to Japanese Museums, will be published by the Japan Society in February this year.